Love is fun everywhere. This is the audacious claim that Bandai is peddling with its new app "Tamagotchi L.i.f.e." And yes, that is what the acronym actually stands for. If you're of the opinion that love might only be fun in certain places, then I challenge you to download this virtual pet to your phone. This thorough recreation of the pocketable pals of the late 90s will teach you how to love again as you lovingly scoop its loving poop and let it win games, lest it gets lovingly mad at you. Love. The app offers two options for interacting with your virtual pet. The first is "Toy Mode" which perfectly replicates the functionality of the hardware version you used to own in middle school. Right down to the three, label-free buttons that do...things. The second is "App Mode" which uses your fancy-pants touchscreen to issue commands like feeding, playing, cleaning, and administering medicine. You can also enable notifications (which are entirely optional, thank god!) that allow your Tamagotchi to call you when it wants to play or needs something. And if your pet tries to get your attention but doesn't actually need anything, then you discipline it so it learns to shut the hell up unless it just crapped on the floor or something. Just like a real pet! 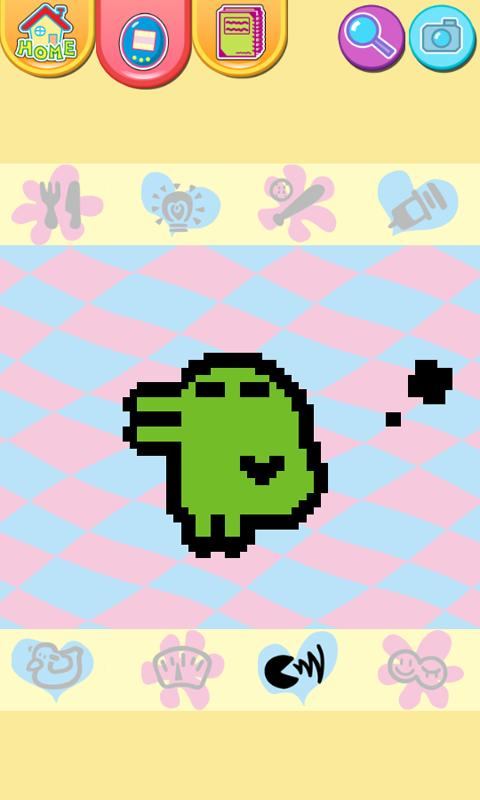 Okay, so maybe I don't really get Tamagotchi. If you do, grab it from the widget below. TOKYO & LOS ANGELES--(BUSINESS WIRE)--On this universal celebratory day of love, Bandai Co., Ltd. and its North American marketing representative Sync Beatz Entertainment are giving a special gift to Tamagotchi fans – the first-ever App based on the beloved property. The free App, developed by Tokyo-based Namco Bandai Games Inc., provides the toy’s classic game play in a contemporary format through its new Tamagotchi L.i.f.e. (Love Is Fun Everywhere) lifestyle brand. Beginning today, the App can be downloaded for Android devices throughout the U.S. and Canada and, very soon, will be available on the iOS platform for the iPhone and iPad. The Tamagotchi L.i.f.e. 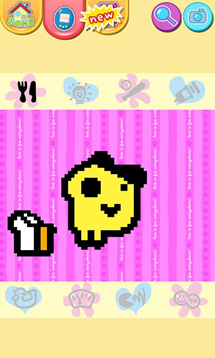 App, downloadable at (www.tamagotchilife.com), is an authentic recreation of the classic Tamagotchi that captured the imagination of young fans across America when it launched in 1997. The App marks the latest offering from Tamagotchi L.i.f.e., a new line of lifestyle products that embodies the spirit and qualities of that original experience and the attributes of its original fans, now active young adults. The Tamagotchi L.i.f.e. Website reflects the traits of the original game play – caring, nurturing, interactive, informational and fun – all with a contemporary cultural spin and a fashion-forward, trendsetting focus. The App offers players three distinctive Tamagotchi experiences to enjoy. The “TOY” mode replicates the 16-bit black and white character pixels and all the familiar behavior and parenting tools of the original. 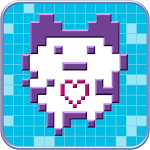 The “APP” mode presents an updated version with the look, spirit and playability of the classic Tamagotchi game but adds color, higher resolution and allows fans to collect the growing virtual pets with the help of an illustrated guide that’s included. The more Tamagotchis a player collects, the more of the many different Tamagotchi “shells” – the egg-shaped design which houses the virtual pets – and specially designed wallpaper s/he will receive. And there’s a third game for fans to play with their pet – a “Rock, Paper, Scissors” mini-game – in which owners will quickly learn that the more their pets win, the happier they’ll become. Several additional new elements will also be featured in this new edition. 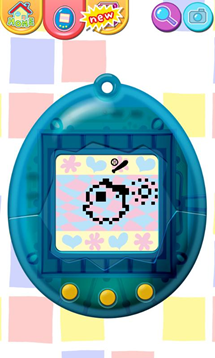 The Tamagotchi L.i.f.e. App seamlessly enables owners to link with Facebook friends to share their pet-raising experience. It also incorporates music into the game - during the opening sequence and at times the user is caring for his/her Tamagotchi. With the Tamagotchi L.i.f.e. Website and its Facebook, YouTube, Twitter and Pinterest pages having launched in early November, the Tamagotchi L.i.f.e. brand is resonating strongly with fans of the popular toy, which has sold over 79 million units in 54 countries and territories during the past 16 years. Just 100 days since the brand’s launch, three Tamagotchi-branded Facebook pages featuring the new lifestyle property have amassed over 130,000 Facebook “likes.” Links to those pages follow: http://bit.ly/TamaFB; http://bit.ly/TamaReSetting; http://bit.ly/GotchiFacebook. 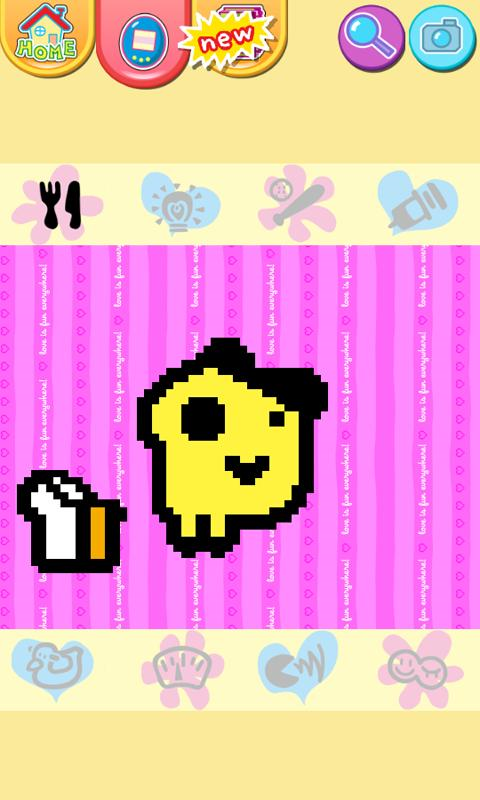 The App is the latest element of the multi-faceted Tamagotchi L.i.f.e. brand initiative, which began with its Website launch in November, the kickoff of an original series of T-L.i.f.e. Webisodes, and the establishment of the “Hometown Heroes” program, where fans can nominate someone making a measurable difference in their community, and the winner of each two-month voting period is awarded a $5000 charitable contribution.